Makes 1 large batch. Enough for at least 150 standard ravioli & more noodles than you know what to do with. My great grandmother, Assunta, made pasta dough with the strength of a hundred Italian sailors. Mom, just a kid then, was not allowed to touch. Instead she was told to sit quietly and watch. 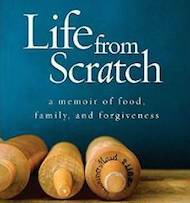 She remembers how, as Assunta rolled the dough thinner and thinner, it gradually swallowed up the table and heavy oil cloth covering. 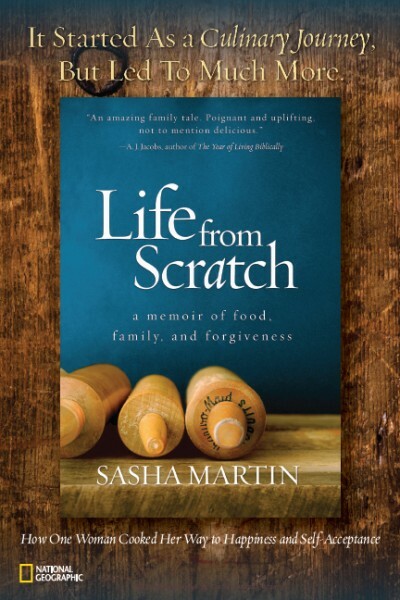 Eventually, all you could see was the giant sheet of dough – thin enough for spaghetti, linguine, tortellini or – as was typically the case – ravioli. I’ll tell you right now… The secret is in the slap. 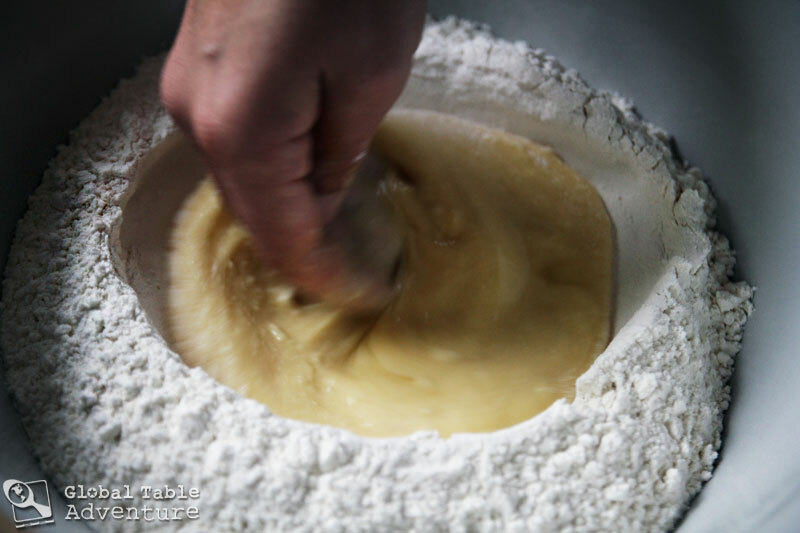 By occasionally slapping the dough down onto the table, the gluten relaxes, making it easier to roll out without springing back. That and generously dusting the dough as you go. Find yourself a lovely Italian villa with an outrageously beautiful view. 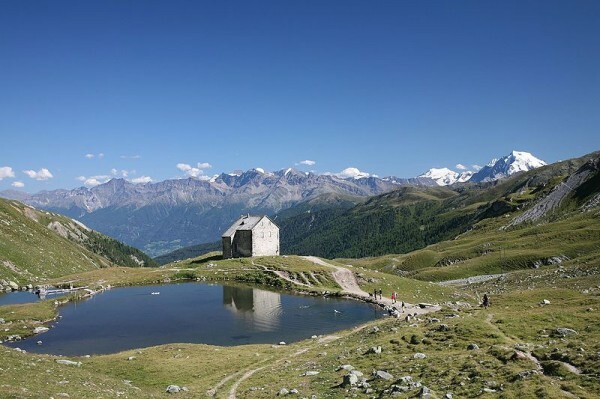 Valle Slingia, Italy. Photo by Daniel Schwen. 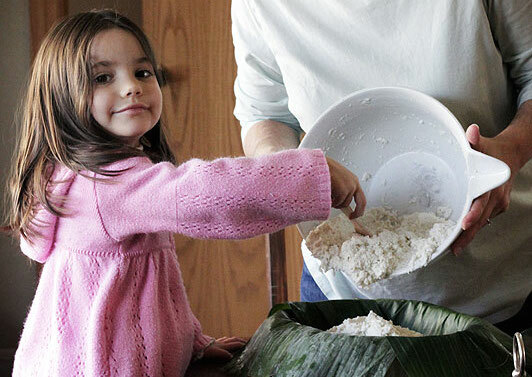 Next, dry your tears and then use the eggs to make a well in the flour. Crack them into the well and beat them, pulling in a little flour at a time. Some people use a fork, but I like to use my fingertips. 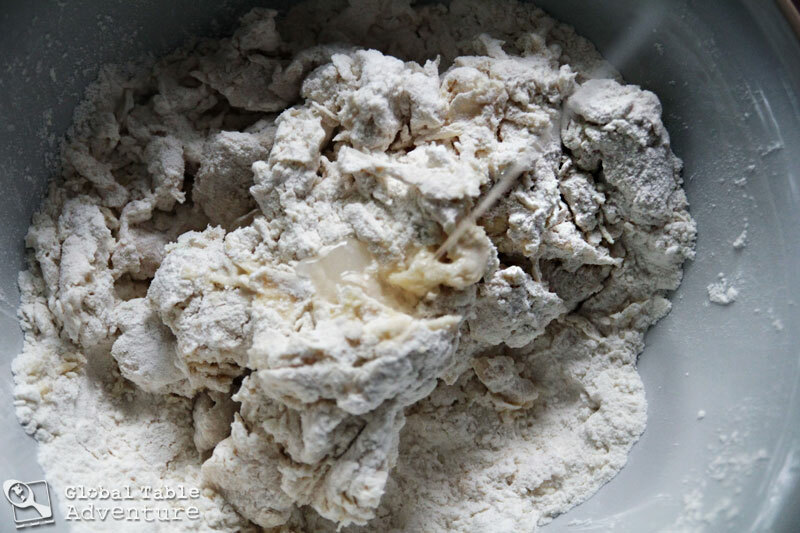 When the mixture turns into a shaggy mass, add a little water at a time until it forms a nice, soft (but not sticky) ball. I almost always use 1/3 cup – sometimes a little more. Knead for a few minutes to bring it together. Next, set the dough aside to rest. See how it’s a little bumpy? After resting for at least 30 minutes (longer is fine – you can refrigerate overnight – then bring back to room temperature before working it), all the bumps will smooth out – it’ll be ready for rolling. It’s like a completely different dough. Then you can make anything you like. In our family we like ravioli. And I promise you, if you make it you’ll have more friends than houses in Sardinia. If you’re willing to share. Sardinia, Italy. Photo by Gzzz. My great grandmother, Assunta, made pasta dough with the strength of a hundred Italian sailors. Mom, just a kid then, was not allowed to touch. Instead she was told to sit quietly and watch. She remembers how, as Assunta rolled the dough thinner and thinner, it gradually swallowed up the table and heavy oil cloth covering. 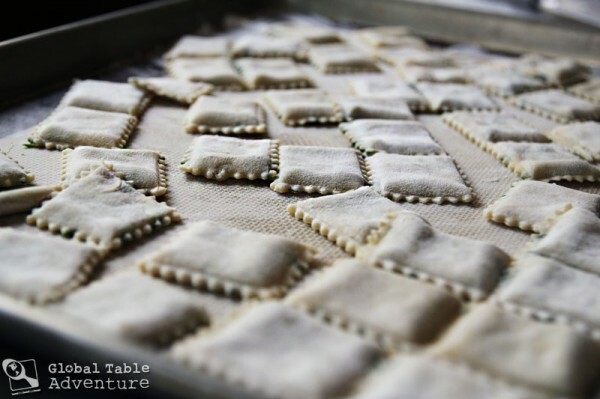 Eventually, all you could see was the giant sheet of dough – thin enough for spaghetti, linguine, tortellini or – as was typically the case – ravioli. I’ll tell you right now… The secret is in the slap. 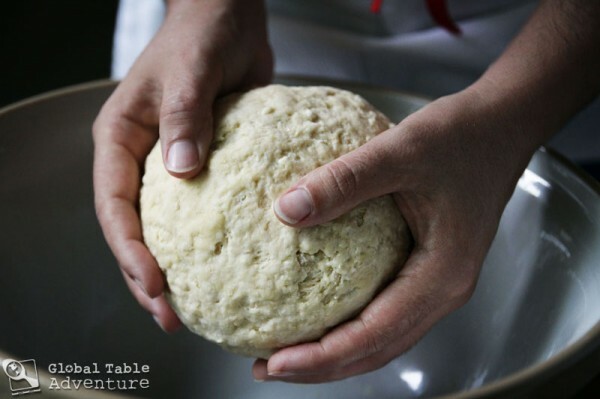 By occasionally slapping the dough down onto the table, the gluten relaxes, making it easier to roll out without springing back. That and generously dusting the dough as you go. 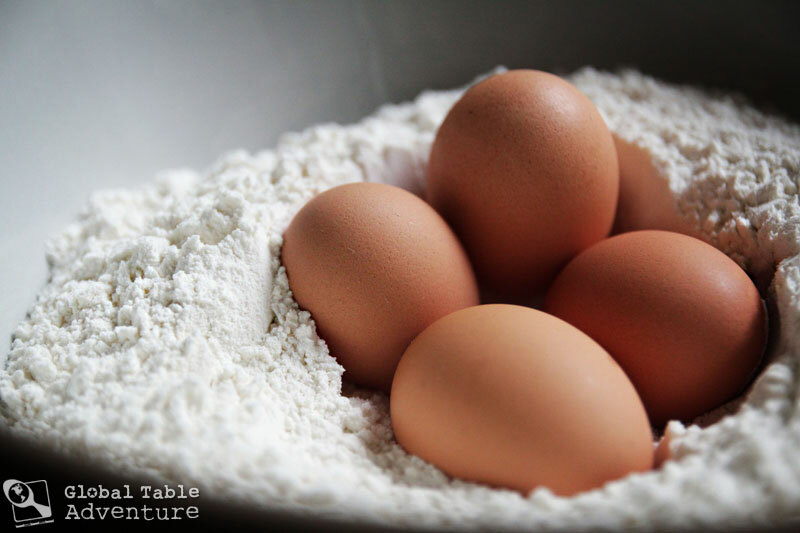 Use your eggs to make a well in the flour. Crack them into the well and beat them, pulling in a little flour at a time. Some people use a fork, but I like to use my fingertips. When the mixture turns into a shaggy mass, add a little water at a time until ti forms a nice, soft (but not sticky) ball. I almost always use 1/3 cup—sometimes a little more. Knead for a few minutes to bring it together. Next, set the dough aside to rest. 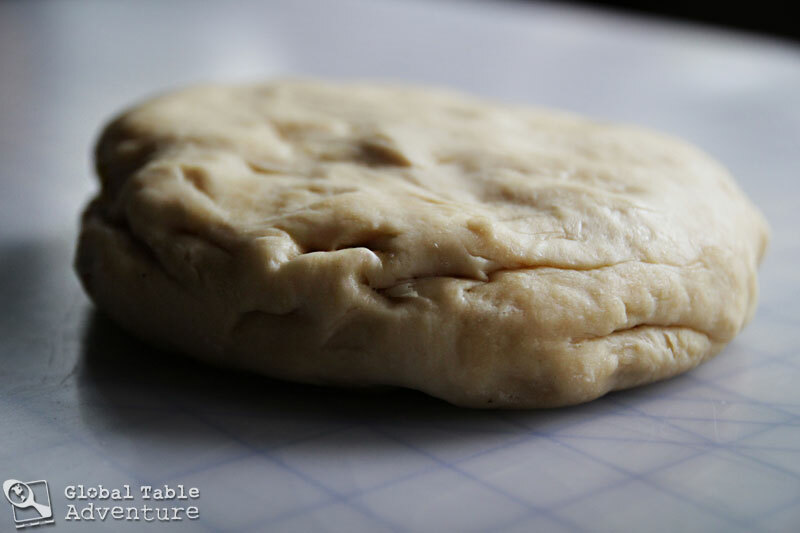 After resting for at least 30 minutes (longer is fine—you can refrigerate overnight—then bring back to room tempature before working it), all the bumps will smooth out—it'll be ready for rolling. It's like a completely different dough. What a great tip to put the whole eggs into the flour to make the well, so that your cracked egg doesn’t overflow the hole… which happens to me sometimes. Thank you so much for sharing Great Grandma Assunta’s secrets! Now I think you mentioned at one point that Uncle Alfred made a wonderful sauce. I’m betting that that sauce would be good on the ravioli. If so, you should include the sauce recipe when you publish the meal review on Monday, even if you didn’t make the sauce. So is it better with sauce or served without sauce? There’s always San Marino. I’m sure they’d eat it in San Marino. The name is spelled wrong…should be Asunta and truthfully should be Sunta as the “A” means “to” and somehow got attached.. Please tell me where can I buy fresh pasta dough. I ran across this recipe about a year ago. I think this is even the web site I got it from. Nobody (in Gainesville, Fl USA) knew what I was talking about at Publix or Fresh Market when I ask for fresh pasta dough. I did attempt to make my own but I was not satisfied with the results. However even at my lame attempt at making the pasta the end results of the Swallow’s Nest was wonderful. I just can imagine what it would be like if I had the fresh pasta dough that is already prepared. PS: In Publix our local grocer they have a big roll of dough for making home made pizza. Will that work? I don’t think so – but I’ve found sheets of fresh lasagna near the rest of the fresh pastas (tortellini etc) at Whole Foods. We don’t have Publix here and I’m not sure about Fresh Market. But maybe if you say you want fresh lasagna sheets that’ll click for them. Good luck!